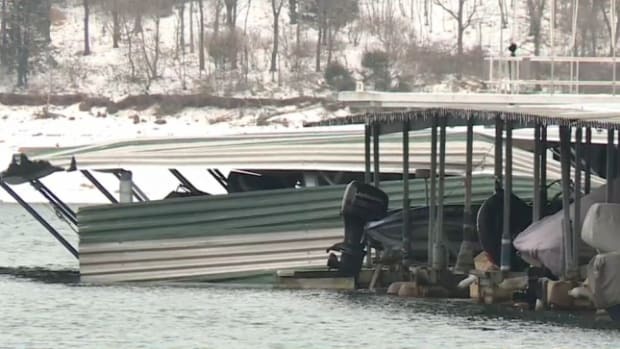 Boats have become trapped in ice in the Northeast as record cold weather plagues the region and the ice continues to wreak havoc on waterfront infrastructure. Iced waterways near Boston caused a commuter ferry carrying more than 100 passengers to be delayed by about 45 minutes by a coastal ice pack on Feb. 20. 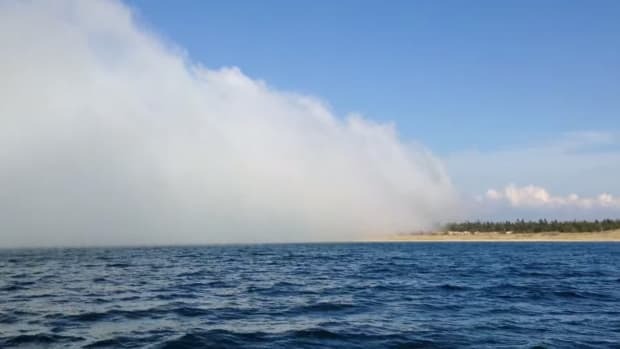 For the second time in two weeks, icy waters off Cape Cod, Massachusetts, stranded a fishing boat, prompting a 49-foot Coast Guard boat to break ice to free the vessel. 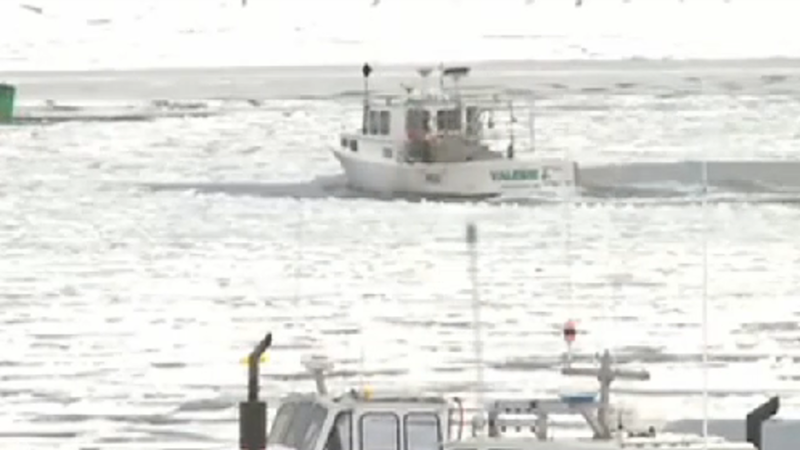 Last Friday, the Coast Guard also freed a 69-foot fishing boat trapped in ice, according to CBS Boston. 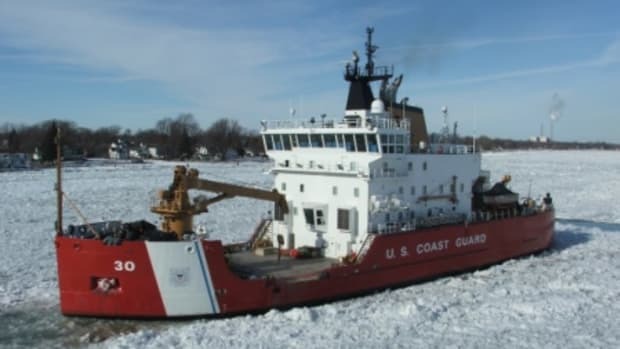 A blanket of thick ice also has spread across the Great Lakes for the second consecutive winter, posing hardships for shippers and crews aboard Coast Guard ice-breaking vessels, but also creating spectacular scenery along shorelines, the Associated Press reported. 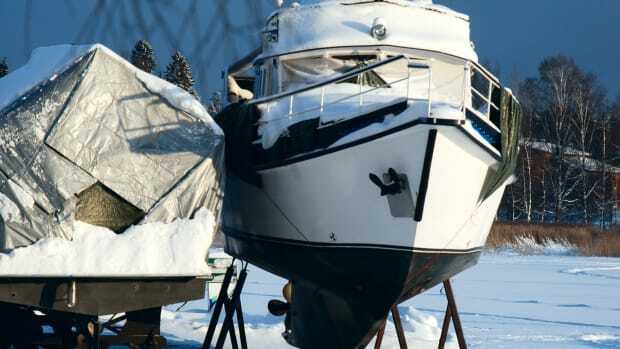 Waterways in the Northeast and the Midwest are beset by ice more than a foot thick in some places, making life miserable for people who make their living on the water. Scott Werner, of Portland, Maine, said the winter has been “a horror show” for him and other lobster fishermen. Werner told the Associated Press that the ice has prevented him from getting his boat out to fish in recent weeks, cutting into his ability to make money in the already slow winter lobster season. 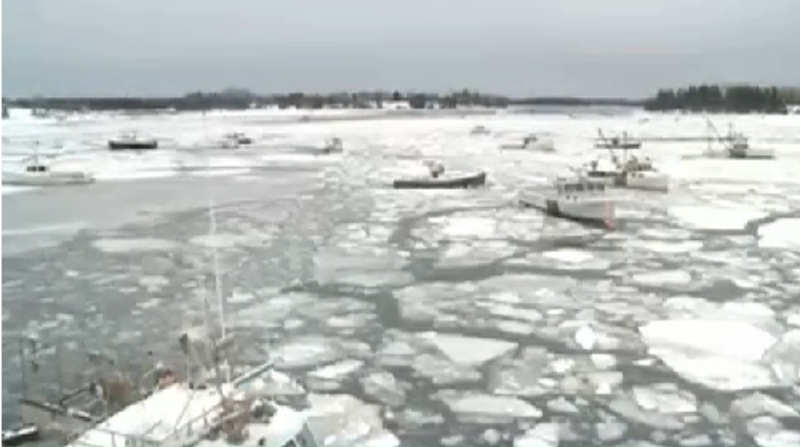 The frigid weather froze more than 10 lobster fishing boats in ice off Portland, Bill Needelman, the city’s waterfront coordinator, told the Associated Press. Fewer fishermen have been able to pursue key food fish, such as haddock and pollock, which has cut into landings at the city’s fish pier and lessened activity at the Portland Fish Exchange auction, he said. The ice also is causing damage to piers and could contribute to erosion, Needelman said. 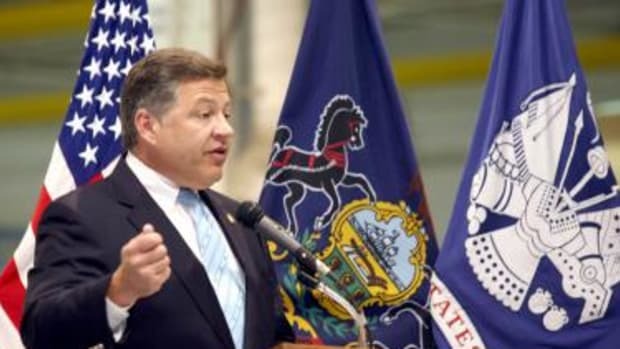 He said this year’s ice likely will take a heavy toll on waterfront infrastructure in the city. “It’s a highly destructive force, and we can anticipate that there will be a lot of maintenance needs and repair needs,” he said. 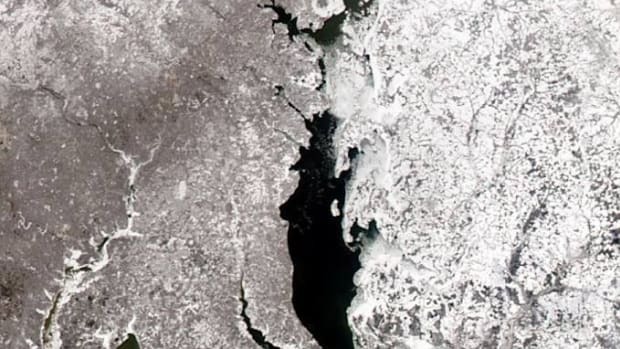 As of Sunday night on the Great Lakes, 88.3 percent of the inland seas’ surface area had frozen, according to the NOAA Great Lakes Environmental Laboratory in Ann Arbor, Michigan. The ice cover topped out at 92.2 percent last winter, narrowly missing the record of 94.7 percent, which was set in 1979. It was the coldest February on record in Portland, according to National Weather Service records that go back to 1940. 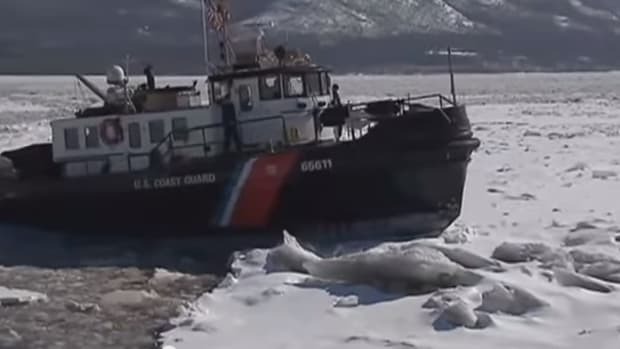 The Coast Guard experienced two weeks in February when its ice-cutting tug, Shackle, was out cutting ice every day, Chief Warrant Officer Bob Albert said. 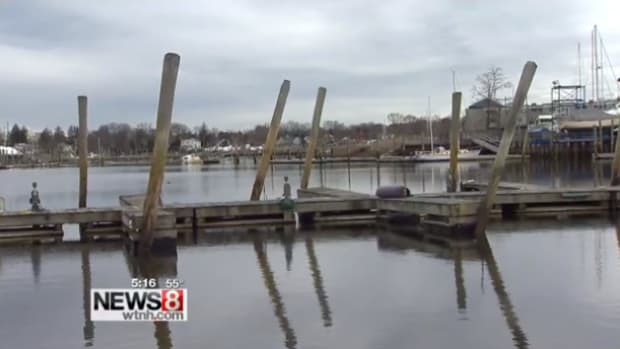 Cutting was needed in Portland Harbor, the Fore River and parts of Casco Bay to allow for petroleum deliveries and for commuter ferries and fishing vessels to traverse the waterways, he said. 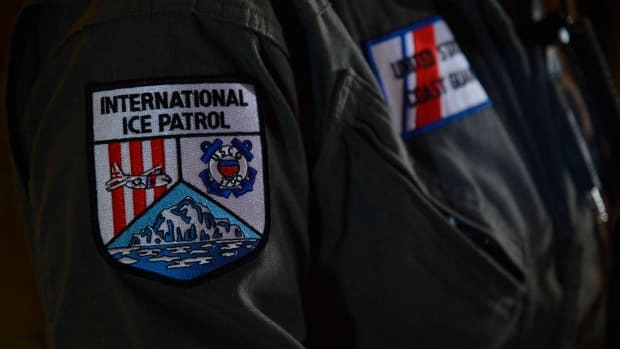 “The demand for ice breaking this year has exceeded any demands that have been placed on the Coast Guard at any time in the last 10 years,” Albert said.